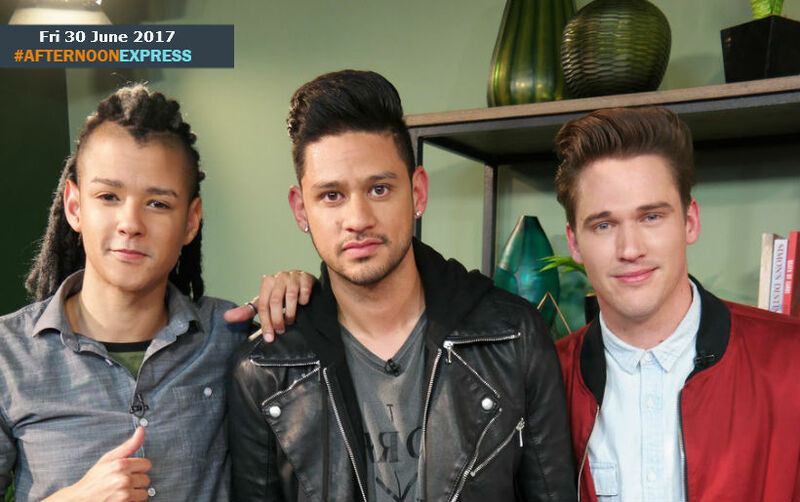 We are joined by the one of South Africa's hottest young bands, Four. In 2014 they became the inaugural winners of the first season of X-factor SA, walking away with the grand prize worth R750 000. After that they aimed for the sky and never looked back. Even though their name may be Four, the band consists of only 3 members, Steven Lewis, David January and Jethro Tait. They were mentored by the legendary songwriter, producer and manager, Oskido, as well as singer, songwriter RJ Benjamin as their vocal coach and mentor. They view Oskido’s teachings and their fans as the fourth member of the group, which is why they call themselves Four. Since their X-Factor days, the collective have gone on to work with some of the biggest names in the industry such as Zion, Mi Casa’s Dr Duda, Oskido and Bass, his son. Kwaito with pop vocals, with a twist of richly textured harmonies is Fours’ trademark, applied to everything they do. The have also opened for international sensation One Direction.